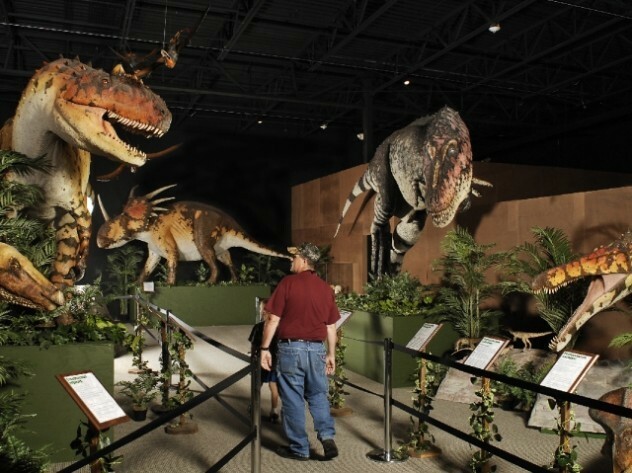 Prehistoric creatures and animals come to life as you witness some of the biggest animals to ever roam the Earth, up-close-and-personal in this one-of-a-kind experience! 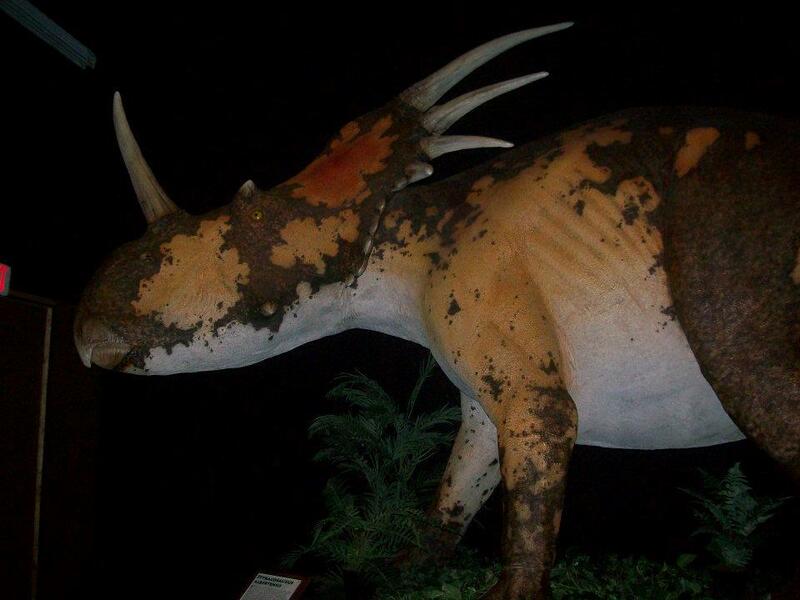 The Prehistoric Comes to Life! 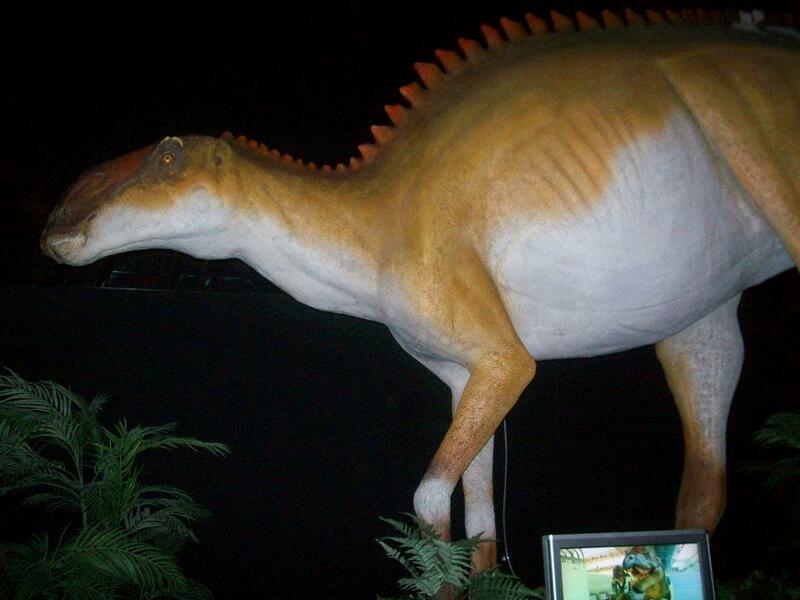 Dinosaurs of All Shapes & Sizes! 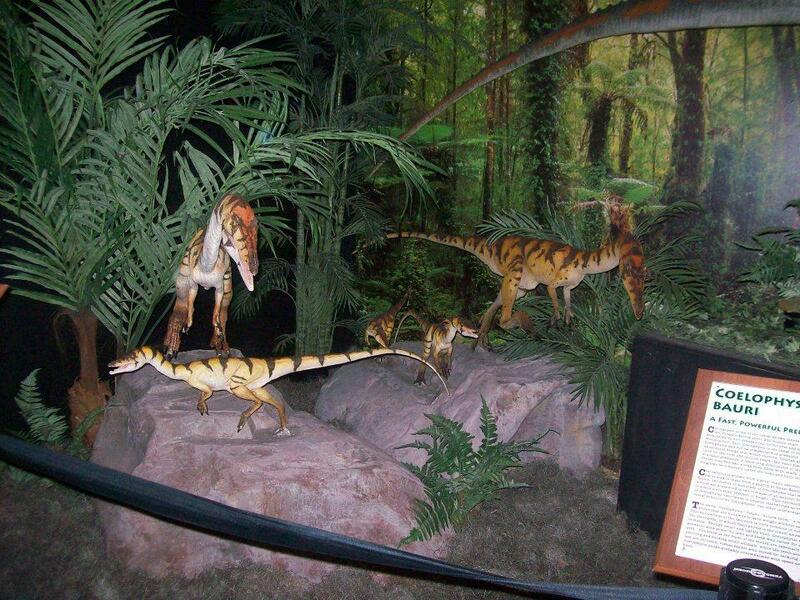 Booking tip: Dinosaur Museum is very popular, advance reservations are recommended! 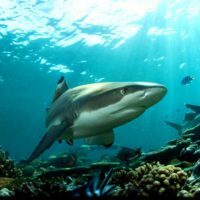 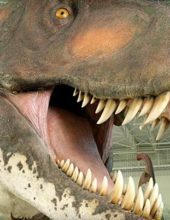 Take a trip back in time as you’re transported back more than 90+ million years in history to experience some of the world’s most intriguing creatures up-close! 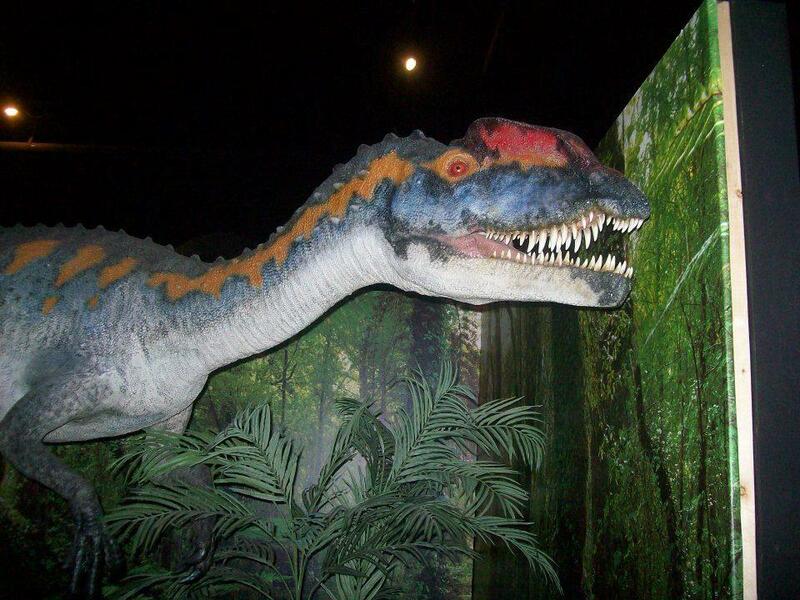 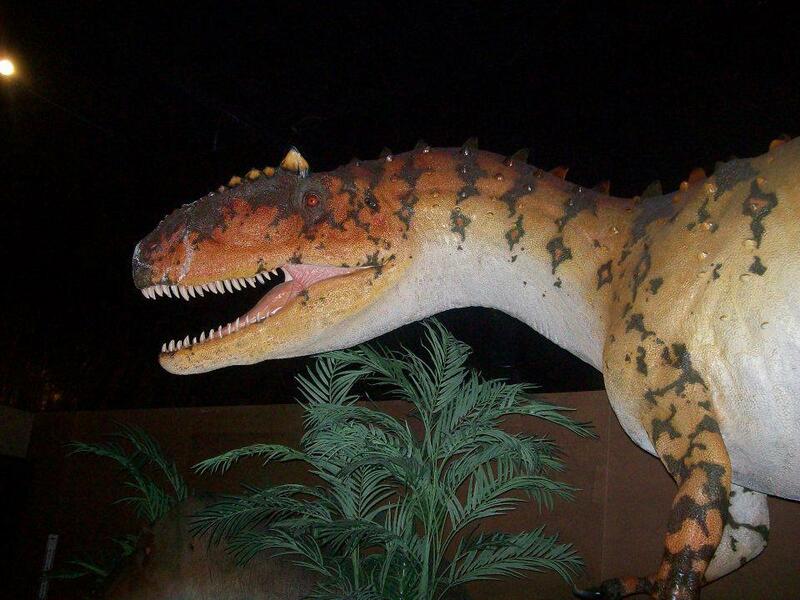 More than 50+ life-size dinosaurs are presented in a museum experience you won’t ever forget! 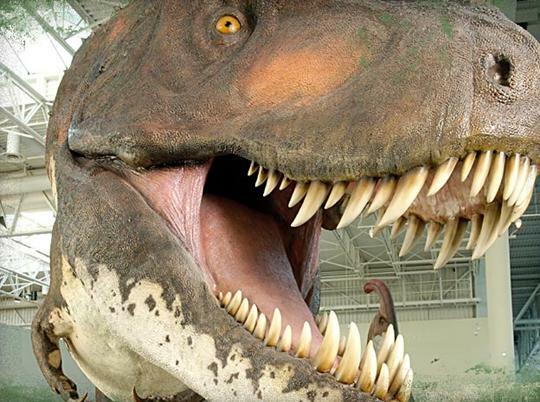 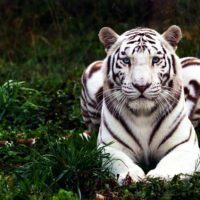 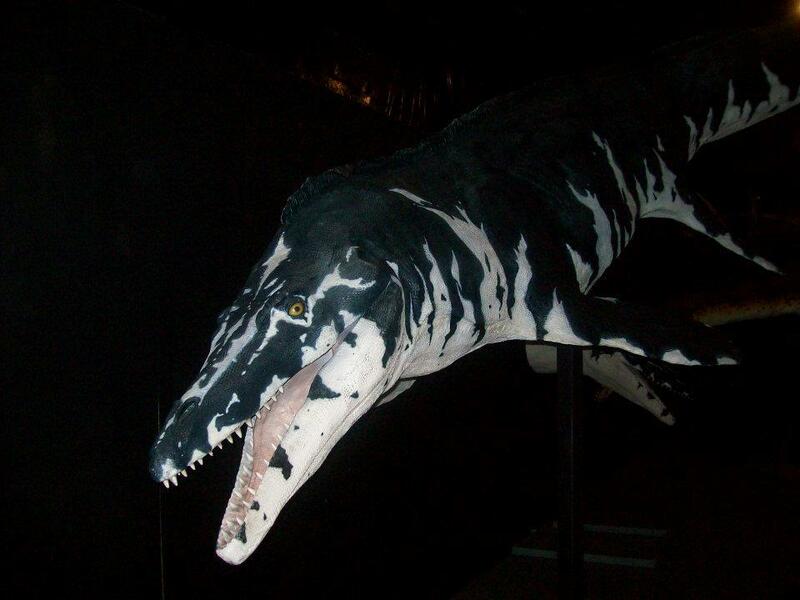 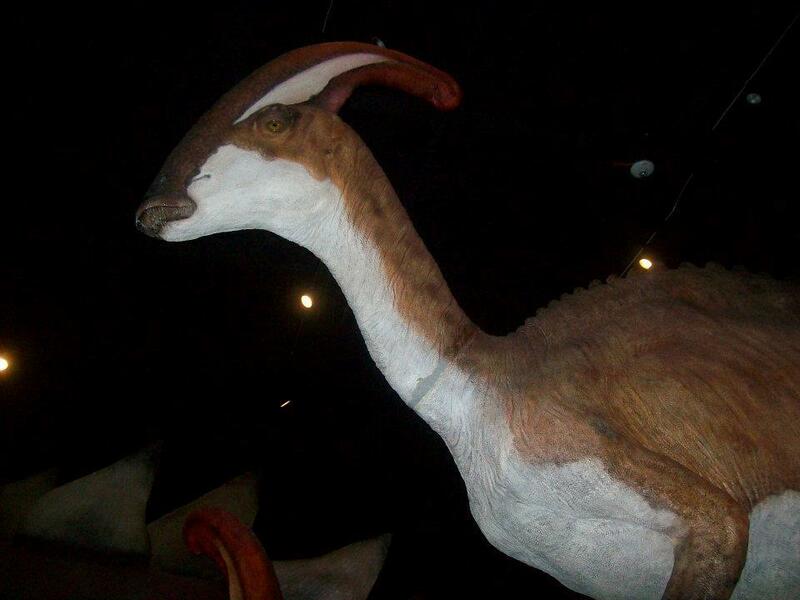 Up-Close With History’s Most Famous Prehistoric Creatures! 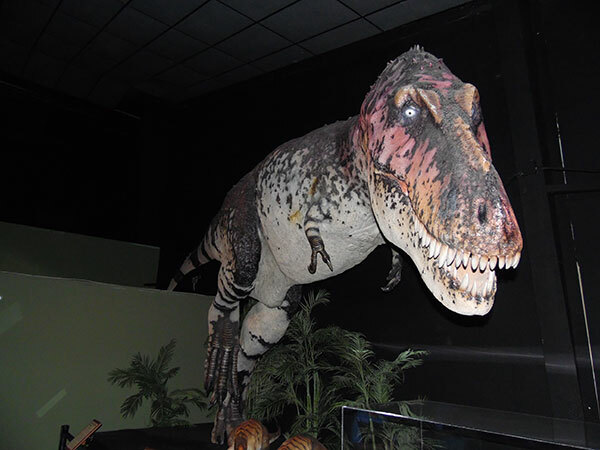 Upon entering the facility, you will come face-to-face with perhaps the most infamous and terrifying dinosaur of all time… a life-size Tyrannosaurus Rex! 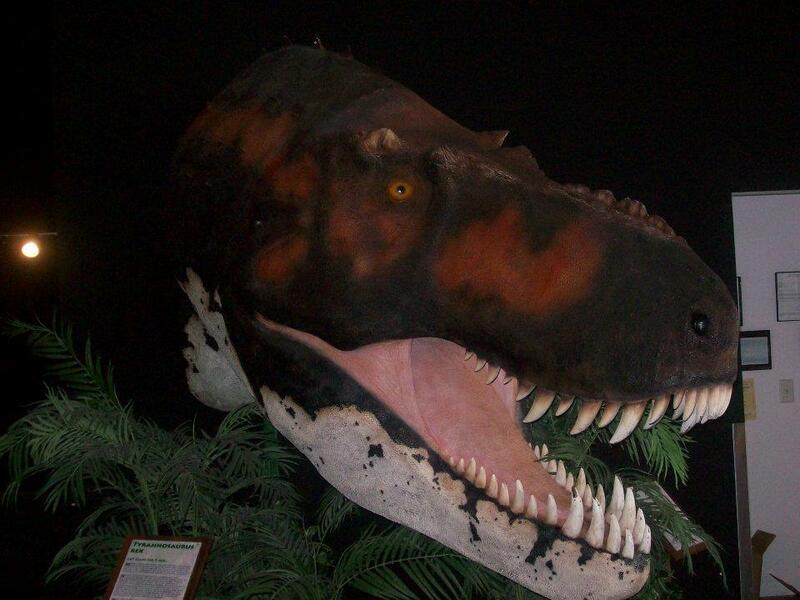 Continue your journey as you encounter and stand next to one of the most fierce predators of all time, the mighty Allosaurus! 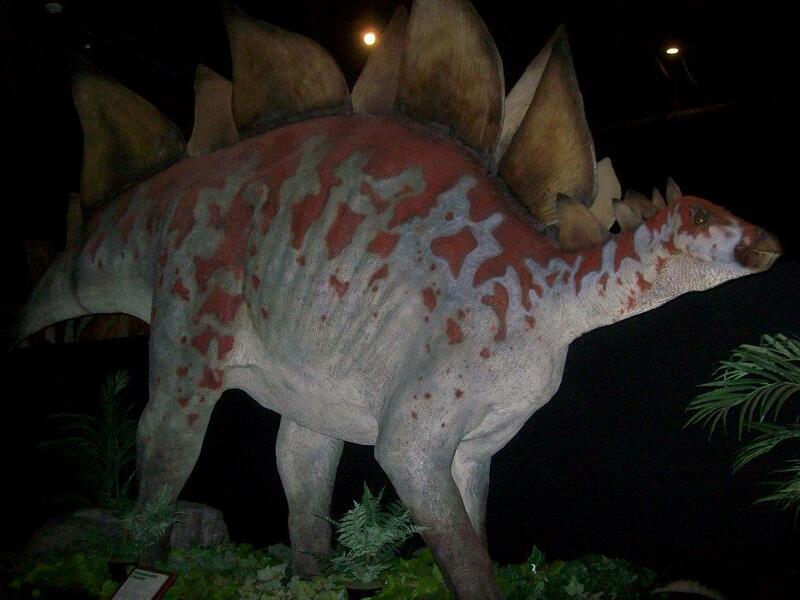 Your education and entertainment continues as you are greeted by some of the most famous and popular dinosaurs – you can count the spikes of a Stegosaurus’ tail and learn how to spell “Parasaurolophus,” the largest duck-billed dinosaur! 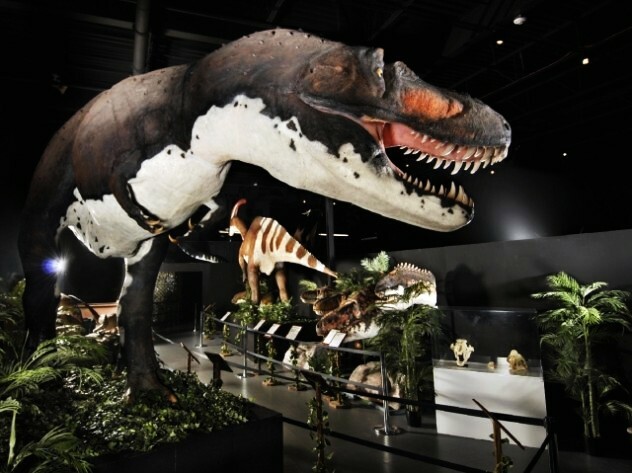 The attraction is not just an exhibit or display of bones and fossils, you will have the chance to see life-size sculptures that have been carefully recreated with meticulous attention to detail from their proportions to their colors and other physical features. 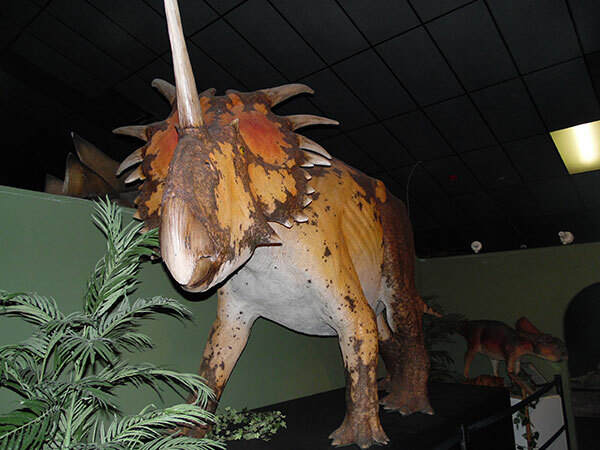 Each dinosaur is accompanied by a fact card and other information, providing you with informational insight and educational details about each. 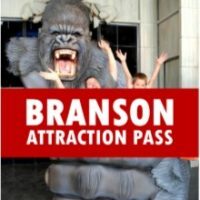 One of the Largest Museums of its Kind in the World! 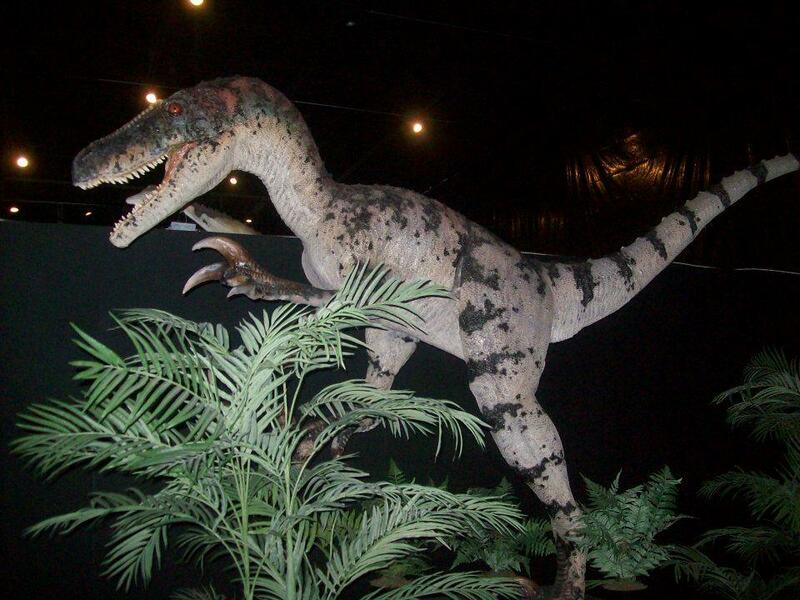 As one of the largest collections in the world of prehistoric animals, you will find everything from the tiny foot-tall Microraptor to the giant, two-story intimidating beast known as the Tyrannosaurus Rex. 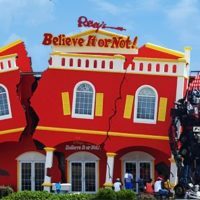 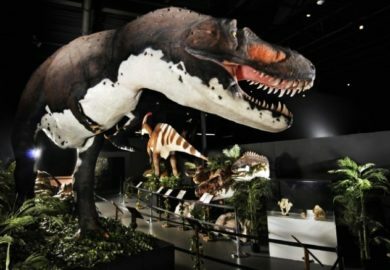 Your journey through the entertaining and education exhibit, will allow you to see flying creatures, and giant sea lizards – as well as replica skeletons, skulls, and bones of some of the most famous of the dinosaurs. 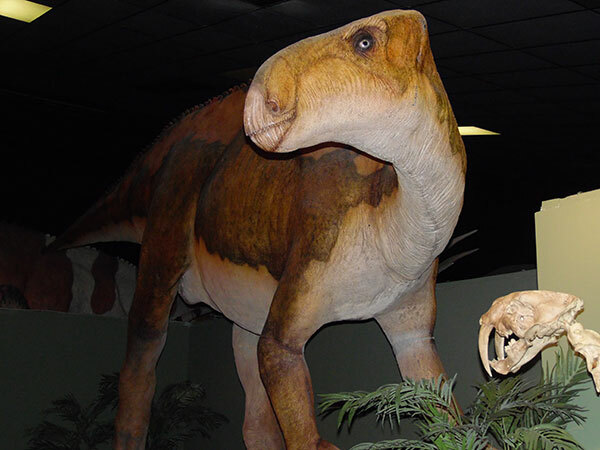 Hands-on activities for children also await your interaction such as the educational HD movies show in the on-site theater, to coloring stations, a fossil dig, gift shop, books, and more! 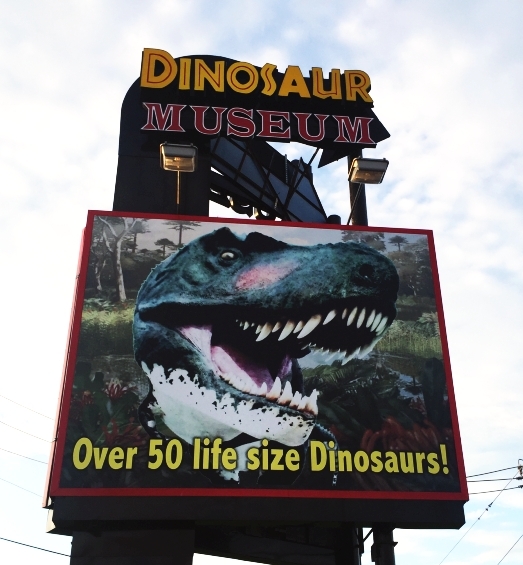 Take a voyage back in time (and have some fun) when you visit the Dinosaur Museum in Branson – one of the most educational and entertaining exhibits of its kind in the Midwest!